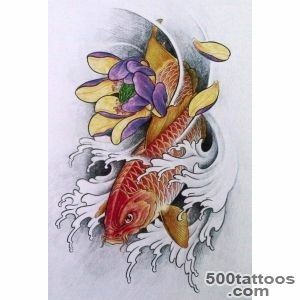 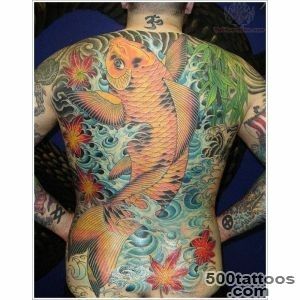 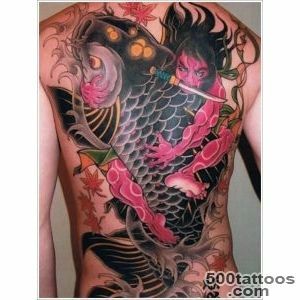 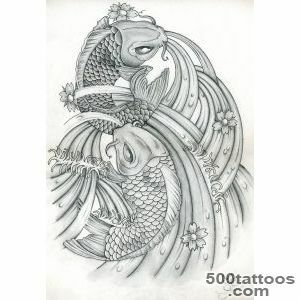 Tattoo carp, usually performed in color, with bright colors used. 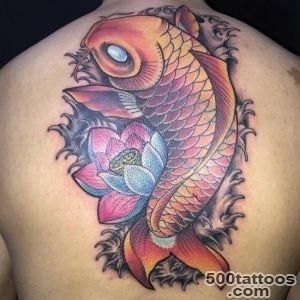 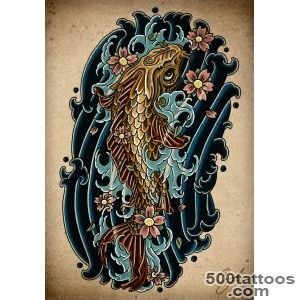 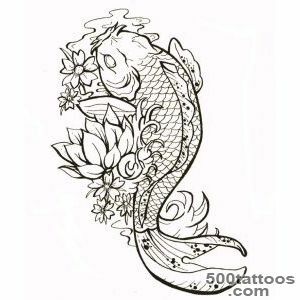 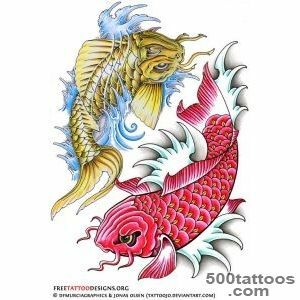 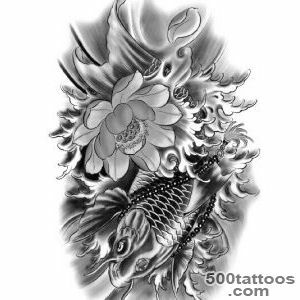 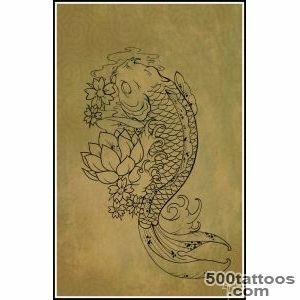 Today carp is considered a decorative animal that mainly inhabits the aquariums, but his draw tattoos often surrounded by water or Asian character. 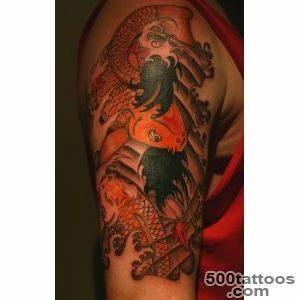 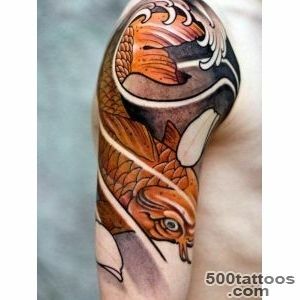 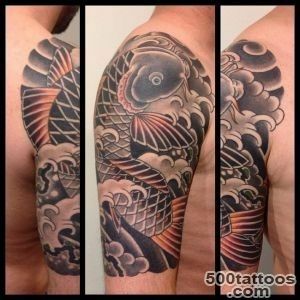 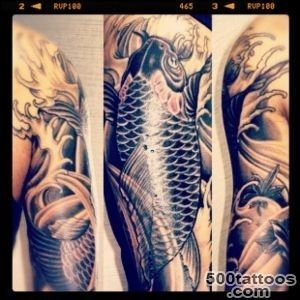 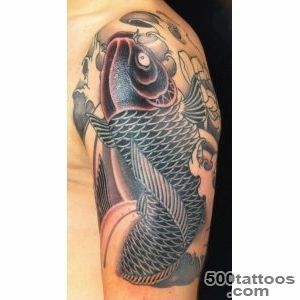 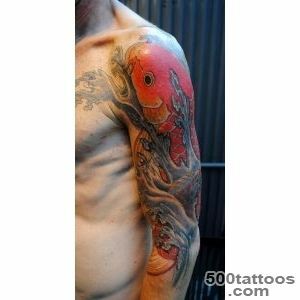 In the context of the tattoo is meant precisely Japanese carp. 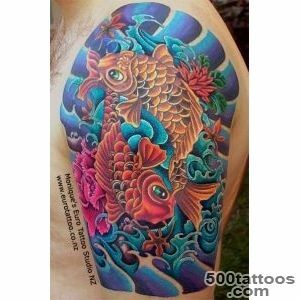 Probably,it is this kind of fish has been chosen because of its incredible bright colors and rich color. 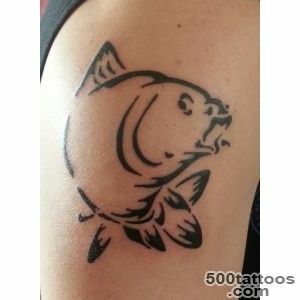 Before the carp was a simple fish, which is hidden from human sight in algae and muddy terrain. 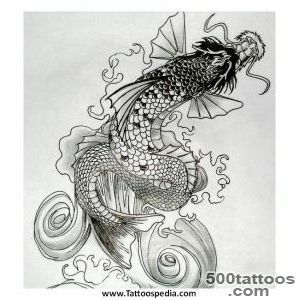 Now an animal is so transformed that began to resemble the real gems. 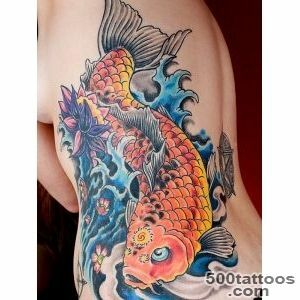 With the selection of fish is simply unimaginable color,which shimmers and glistens in the sun. 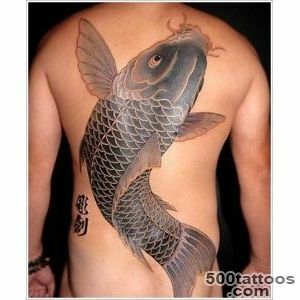 Therefore, carp can prirovnyat for fame to the lotus or Sakura. 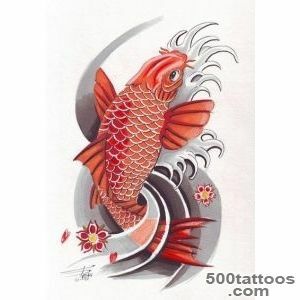 Carp - is a symbol of good luck, constant movement forward, but also a sign of a strong family, courage and luck. 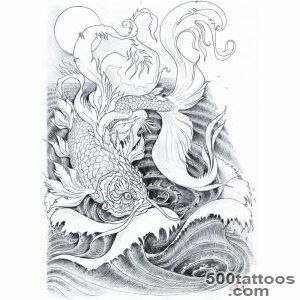 This tattoo has a set of values ​​, which are determined by the situation,which placed the carp in the image : sailing in rough water - courage, against the stream - the pursuit of a common goal, the stream - held a man, and so on.. 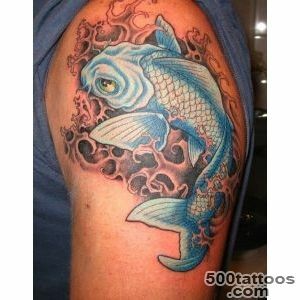 The Japanese revere carp traditionally masculine symbol, even before all the families hung flags with a picture of fish to show the birth of a boy in the house.After he began to consider the symbol of family well-being and happy life where black carp called the father, red - mother, blue or white is compared with his son, and pink - with her daughter. 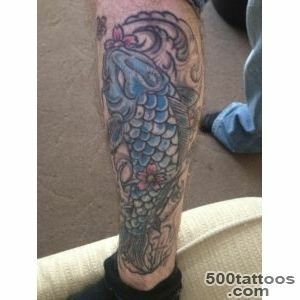 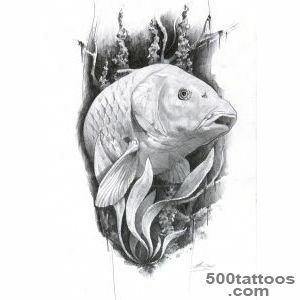 In the natural environment carp are constantly fighting for survival over, looking for food, overcoming more than a kilometer.Therefore, the tattoo can also mean willpower, fight, lust for life and survival. 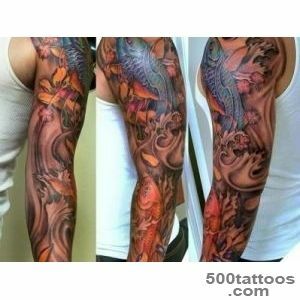 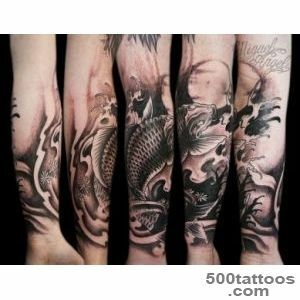 Suitable tattoo purposeful media that can deal with all the obstacles on the path of life to reach the goal. 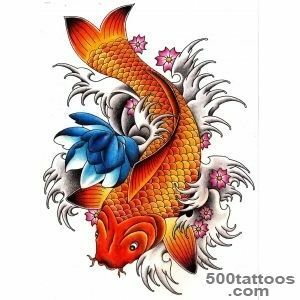 Carp helps to change reality, allowing a person to manage their lives, overcoming the difficulties of existence.For the Chinese carp also have a special symbolism. 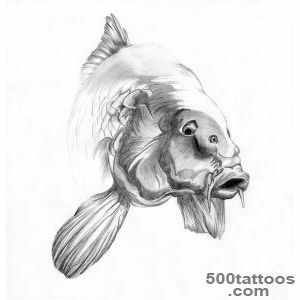 They dominate other fishes, embodying the full power and superiority over others. 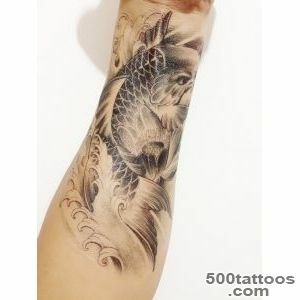 The fish is often called the dragon, because according to legend, any carp can climb along the Yellow River to the Gate of the Dragon, becoming thus in this great creature.In this regard the fish as a symbol of inspiration of those people who are particularly ambitious and challenging life goals. 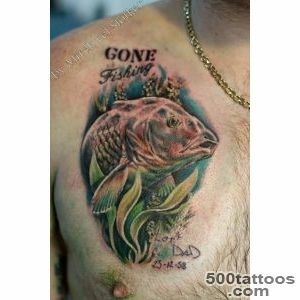 Tattoo blesses media, bringing him good luck. 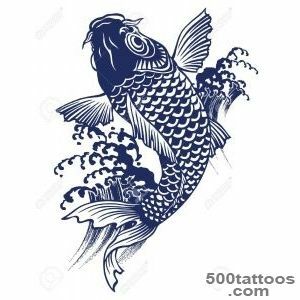 Carp is also considered a symbol of the independence of the body and the soul, it contributes to the great success that never passes by human.In the religion of Buddhists consider carp a fearless and courageous people even now admire the longevity of fish. 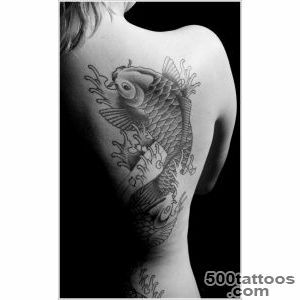 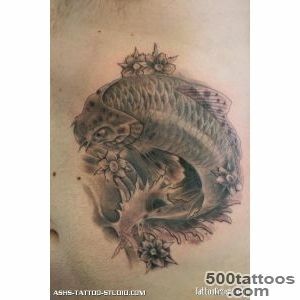 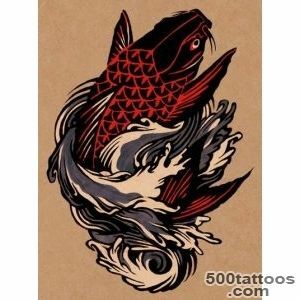 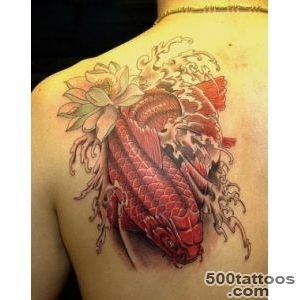 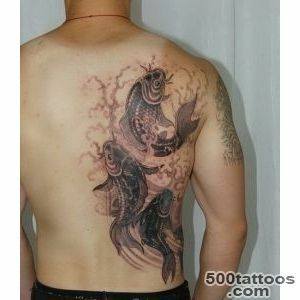 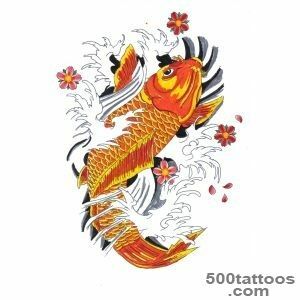 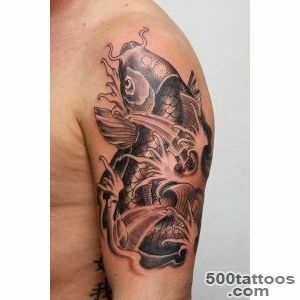 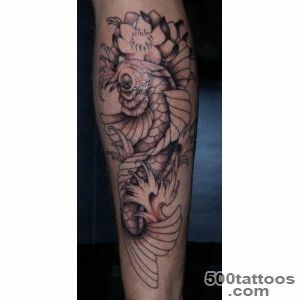 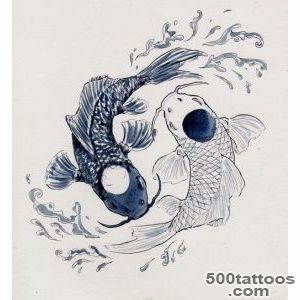 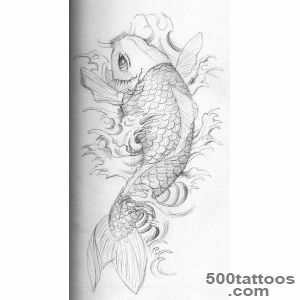 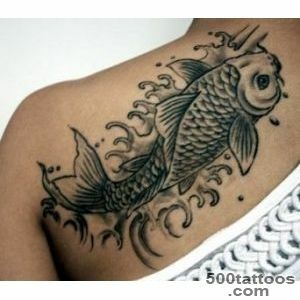 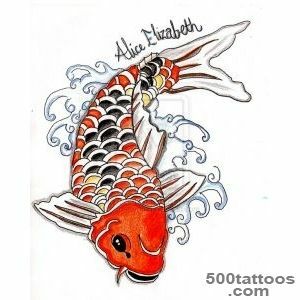 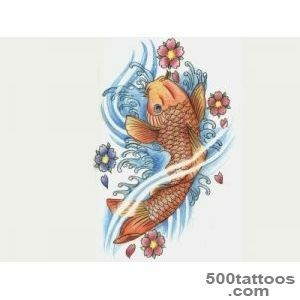 If a person is not afraid of any difficulties, always wants to move forward, then the carp tattoo will be most welcome.